The Cubeb is a stylish detached home, ideal for couples and young families alike. It features a modern kitchen with open plan dining/living area. Bi-folding doors leading from the living area to the rear garden make it ideal for summer family gatherings or entertaining guests. Upstairs you will find two double bedrooms, one with an en-suite shower room. A further bedroom and family bathroom complete the first floor accommodation. 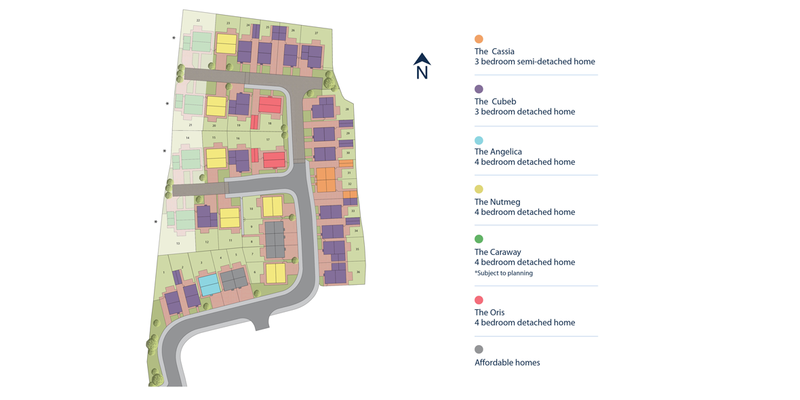 As Juniper Grove is still under construction you have the opportunity to select different features from our extensive range of extras and upgrades meaning you can really put your stamp on your new home.